More than 80 recreational vehicle exhibitors will join forces with nine of Atlanta’s largest RV dealers to bring RV lovers the biggest “everything you can imagine” show imaginable. Stop by Friday-Sunday, January 25-27, 2019 at the Atlanta Exposition Center South, 3850 Jonesboro Road, Atlanta, GA, zip code 30354. A dozen mini-seminars will be conducted to help you fix up your old rig, help you choose something better suited for your family and help you plan a trip to a new destination. Learn about deals on short- and long-trip travel opportunities, outdoor adventure clubs, campgrounds and accessories. The Most Excellent State of Georgia has a multitude of popular and well-kept secrets that are perfect to explore in your RV for a day or a week. The largest all-indoor recreational vehicle show in Georgia takes place the weekend of January 25th. 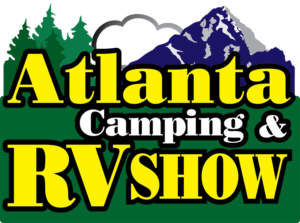 Come see your options at the Atlanta Camping and RV Show in Atlanta. To select a place to camp or park your recreational vehicle near Lake Allatoona, select from dozens of spots. Simply click HERE.